PRACTICE ON PERSONAL FINANCIAL PLANNING. I founded 4D Financial Advisors with the goal of relieving one area of high stress for professionals who deal with the complexities of Corporate America each and every day. Planning for your own financial future should be a top priority; unfortunately, it takes a back seat as you deal with the top priorities of your job and business. I can help you make the financial decisions that will make the most of what you have now and help you build a more secure and enjoyable financial future. 4D is an independent, fee-only, wealth management, financial planning, and registered investment advisory firm located in Naperville, IL. I strive to help you understand the importance of planning for your future and help you take the appropriate actions to achieve your financial goals. 4D is founded on the belief that the client is at the heart of the relationship. Building a financial roadmap takes time and is an evolutionary process. I help you understand the alternatives and then select the appropriate action to guide you toward a secure financial future. It is essential that you question, probe, and evaluate your financial plan as it evolves. Our mutual objective is to create a trusted partnership and continually improve your financial situation. Jeff Dvorak, CFP advises people on a variety of topics related to wealth management and financial planning. With an extensive background as a financial planner and a passion for helping people manage their finances, he is able to deliver practical advice on everything from investment strategy to estate, retirement, education, and tax planning. 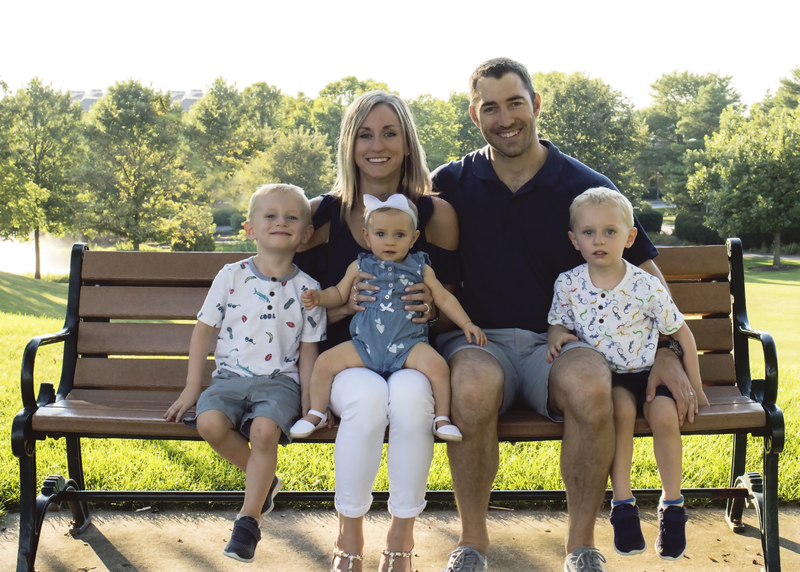 When you want to talk to a financial advisor who will guide you along your path to financial wellness, Jeff Dvorak stands out among other financial planners. 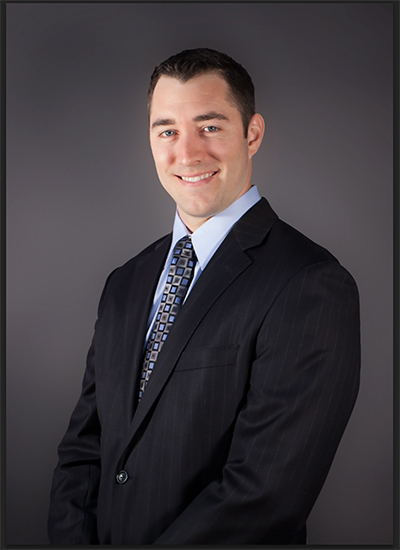 With a proactive communication style, he is able to help his clients understand the complex financial topics. Jeff will put everything into terms you understand and then give you advice, allowing you to make the best choices with all the information you need. Jeff is known around the community as being a reliable, energetic, client-centered, and knowledgeable financial planner. He has built his reputation in the community as a valued partner to clients It is clear that Jeff truly loves what he does and works hard to provide all his clients with the outstanding financial advice. After graduating with a B.S. degree in finance from the University of Illinois at Urbana-Champaign, Jeff went on to earn the Certified Financial Planner TM (CFP) designation. He is a member of the Financial Planning Association and National Association of Personal Financial Advisors (NAPFA), and recently served on the Midwest Region Board of NAPFA. Before founding 4D Financial Advisors, Jeff worked for two other financial advisory firms in the Midwest. His extensive experience has provided Jeff with a wealth of knowledge that he looks to pass on to you. When considering which financial advisor can help you along your path to financial wellness, Jeff Dvorak and 4D Financial Advisors are ready to help. Jeff resides in Glen Ellyn, Illinois, with his wife Kim, twin boys Justin and Jeremy, and daughter Rylie. In his free time he enjoys traveling, playing basketball and softball, cycling, crossfit, and spending time with friends and family. Client education is the cornerstone of a successful financial plan. As your financial planner, our main objective is to keep the process as simple as possible. We want to make sure that you are playing an active role as we build, refine, and improve your financial plan. This is your future, and we want you to be in control of it. A financial planner will work closely with you. Understanding your goals and objectives enables us to create your customized financial solution. The process begins with some initial observations and discussions with a financial advisor. Then, we develop appropriate strategies, create practical guides for aligning your goals and objectives, and determine what you want to achieve. We believe a financial journey is a collaborative and collective process that includes open communication and ongoing dialogue between you and your investment advisor. We don't want you to just hand something over to us; this is a partnership and a journey we will make together. Success is not something that 4D can define for you; it is what YOU define it to be. The process begins with some initial observations and discussions with a financial advisor. Then, we develop appropriate strategies, create practical guides for aligning your goals and objectives, and determine what you want to achieve. We believe a financial journey is a collaborative and collective process that includes open communication and ongoing dialogue between you and your investment advisor. We don't want you to just hand something over to us; this is a partnership and a journey we will make together. A fee-only financial advisor will have an independent firm and not be affiliated with any brokerage firm, insurance company, or bank. There are no commissions or kick backs received; therefore, there is no incentive to recommend one investment or planning tool over another. A fee-only investment advisor is compensated solely by way of fees paid directly by his clients. This structure works very efficiently as it is completely transparent, information is fully disclosed, and the client is able to trust that the financial advisor has his best interests in mind. Fiduciary is the relationship standard that fee-only financial advisors accept in their client engagements. A fiduciary is legally and ethically required to act solely in his client's best interest, without regard to other parties. MarketWatch - Are Financial Advisors On Your Side? At 4D Financial Advisors, we offer different service models that are tailored to the unique needs of our clients. We believe that clients in all phases of their life are important — whether you have accumulated significant wealth and are preparing for retirement or you are just starting out on life’s journey and facing a multitude of financial decisions that often seem overwhelming. Our more traditional model is based on Assets Under Management (AUM) whereby we provide wealth management services that includes ongoing comprehensive financial planning and investment management. For clients that only desire Investment Management services, AUM will be charged at an annual rate of 0.50%. This is a collaborative process whereby an initial comprehensive financial plan is developed by the Advisor. The cost for this service is a flat rate of $3,000. For those individuals or families that are just trying to lay the groundwork for a better financial future, we offer a subscription fee model whereby we answer questions and provide information and resources to help you make the right decisions along the way. The cost of this service offering is $300 per quarter. Q: What differentiates you from other advisors? A: One of the biggest differences between 4D and many other investment advisors is our independence. We are not affiliated with any broker/dealer; therefore, we pride ourselves on giving you objective, unbiased advice with a purpose, and we do NOT receive commissions or any sales-related income. As a fiduciary, we are held to a much higher professional standard than a broker/dealer. We will ALWAYS put your best interests first. Our scope of services also sets us apart from our competitors. We are involved in every aspect of your financial picture, not just the investment and/or insurance portion. Our planning process permits us to evaluate each area of our clients' financial situation while delivering a unique client experience. This allows us to create customized solutions to assist our clients in achieving their financial goals. Q: What makes a relationship with 4D successful? A: No matter what your vision of the future may be, the most critical component of your ultimate success is the breadth and depth of the relationship. We ask our clients to be willing to work with us using a holistic approach to financial planning. Communication is the foundation for every relationship. We will reach out to you and share our thoughts and recommendations, but we rely on you to keep us up to date with anything, personal or professional, that could affect your financial future. At 4D, we employ a proactive approach to help our clients stay on track and address potential concerns before they become a larger issue. Q: How do I know my money will be safe with 4D? A: 4D will never have access to any of our clients' money. All of the assets we manage are held by Charles Schwab and Company. Upon engaging in a relationship with 4D, you will have the option of granting 4D the ability to make investment changes on your behalf. We cannot make withdrawals from your account. 4D will make sure you completely understand our thought process before we propose investment changes to your account. Your consent will be required before any trades take place in your account. Our relationship is based on integrity and trust throughout the financial planning process. Q: What services will I receive if I engage 4D? We can also help you connect with individuals who specialize in other financial disciplines such as: Mortgage/Refinancing, Insurance, Tax Preparers, and Estate Attorneys.